Home » Why did the Germans prefer Russia to America? Why did the Germans prefer Russia to America? 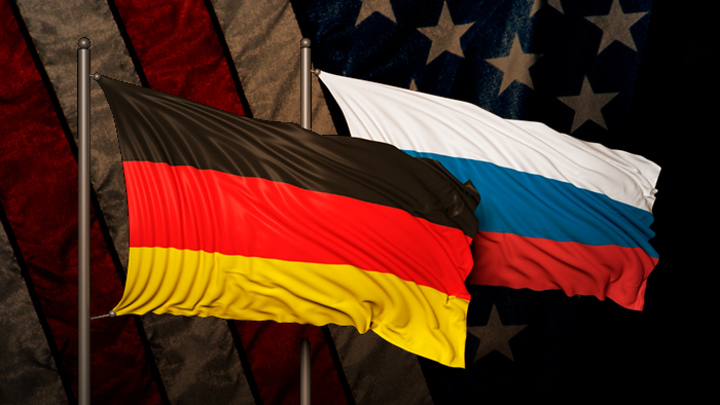 Most of the population of Germany is in favor of closer relations with Russia, and not with the United States. This is evidenced by the results of polls by the German foundation Körber-Stiftung, which are quoted by the German newspaper Stern. Germany after 1945 made a bias towards the "maritime powers" - Britain and the United States - and began to join the transatlantic world. However, the self-isolation of the United States under Donald Trump is gradually returning Germany to the tellurocracy (“land power”) and, in theory, forces them to focus on Russia. But this geopolitical regularity does not work to the full, because the Ukrainian conflict persists, and the clearly expressed atlantist Angela Merkel is still in power. However, the German society is already ready for Germany to turn from the West, from the USA to Russia. Compared to last year, when America was considered an important partner by 42% of Germans, today there are only 35%. Three-quarters of German citizens rate current relations with the United States as “bad” or “very bad”. It's Trump's fault. The American leader is constantly terrorizing the Germans with military spending and demands raising them to 2% of Germany’s GDP. Trump is undermining German business in Iran with sanctions. After the United States withdrew from the Joint Comprehensive Action Plan (IFAP), large German companies such as Siemens, Deutsche Telekom, Deutsche Bahn and Daimler left the Iranian market. Germany is also worried about the constant threats against Nord Stream II, which, according to Trump, makes Berlin almost a colony of Moscow. For Germans and their leader Merkel, the gas pipeline is an extremely important project because it will get rid of the vagaries of transit countries, make Russian fuel cheaper for the German consumer and allow Germany to compete with Austria as a major gas hub in the EU. America’s rejection is expressed in other statistics. About 72% of “burghers” want independence from the United States, which have 13 military bases in Germany. Unlike the United States, more than 2/3 of Germans favor rapprochement with Russia and China. 69% were in favor of a close partnership with Moscow, 67% were in favor with Beijing. The trade wars that Trump started against the European Union, China and Russia played a significant role in this. Vladimir Putin, Angela Merkel and Xi Jinping came together to defend free trade, and the EU offered Russia and China a joint mechanism for circumventing US sanctions against Iranian oil. It is worth noting that the growing popularity of Russia and its decline among the United States among German society is connected not only with disappointment in America, but also with the measures that Berlin introduced at the initiative of Washington against Moscow. German farmers and businessmen are still counting losses from anti-Russian sanctions, the volume of which each month amounts to 800 million euros. It is no coincidence that in Germany the popularity of just those parties - “Alternative for Germany” and “Left” - which advocate the abolition of sanctions and normalization of relations with Russia, is growing.